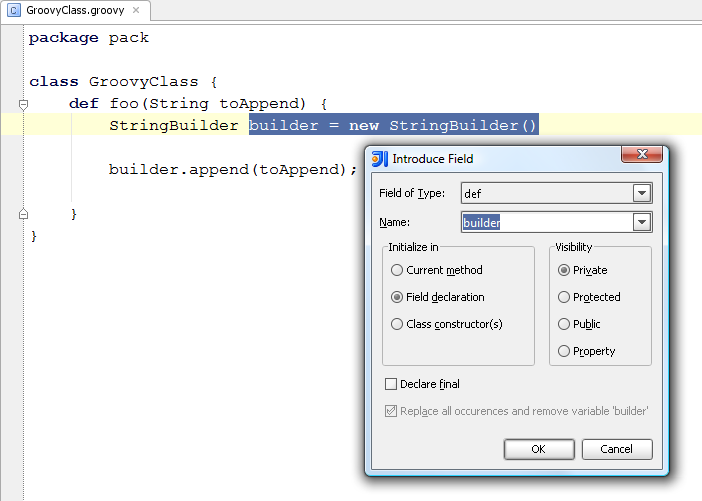 In the upcoming IntelliJ IDEA 10.5 some new Groovy refactorings will appear. The first of them is Introduce Parameter. 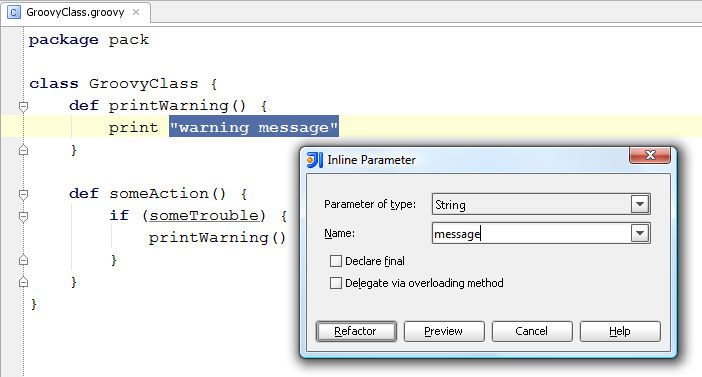 It allows you to select any expression inside a method and make from it a new method parameter. All the usages of the method in both Groovy and Java will be auto-updated. The second one is Introduce Field which provides you with an ability to quickly create a new field from any expression inside a class. No doubt these 2 introduce refactorings will be a good addition to the existing Introduce Constant and Introduce Variable. You are using them, right? Download the latest EAP build of IntelliJ IDEA 10.5 to try these and other new features and to let us know what you think. This entry was posted in New Features and tagged Groovy, Refactoring, Xena. Bookmark the permalink. It’s great to see that the Groovy refactorings get some more love from you guys. Great work, keep it up! What about “Unwrap..” for Groovy? You know else would be useful that IntelliJ should have for Groovy? The ability to generate TestCases for Groovy! Test generation works for Groovy in the last EAP.